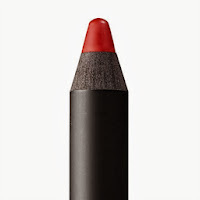 Every girl needs a perfect red lipstick in her makeup repetoire and I know they are not always easy to find. Whilst wandering around Sephora the other day, I happened upon a new red lipstick love, NARS velvet matte lip pencil in the shade Cruella. 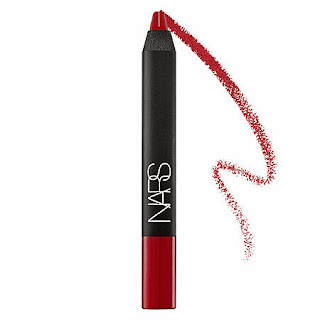 As a redhead, it is extremely difficult to find a favorable red lipstick that coordinates with both my hair and fair skin tone, but NARS seems to handle that difficulty with ease. Described as a Scarlet red, this is the perfect red lipstick for those looking to go bold and bright! I was so excited to pick this up just as Winter sets in. Winter is the perfect time for you to showcase your darker berry or red shades of lipstick! Every year, as Fall rolls into Winter, Starbucks changes their cups from the drab everyday green and white to a super festive red and gold to celebrate the holiday season and the bringing back of the holiday beverages. 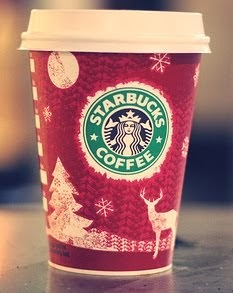 This is the time of year to order the delicious seasonal Peppermint Mocha. My new favorite is the same name that has been made ‘skinny’. After stumbling across the nutritional value of the original, I had actually considered giving it up for the season! Instead, my sister showed me that if I just ordered the ‘skinny’ version of the drink instead, it was a much more acceptable indulgence. The ‘skinny’ version of the Starbucks Peppermint Mocha consists of using steamed nonfat milk, sugar free mocha sauce, sugar free peppermint syrup and skipping the whipped cream. 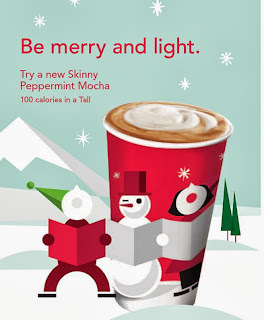 If you are like me and want your holiday indulgences to be guilt light, then I would definitely suggest trying Starbucks skinny Peppermint Mocha! This is by far the best and my favorite primer ever! I have to admit that this is my HG face primer! 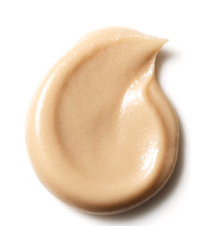 It goes on like a velvet cream and minimizes the appearance of all pores so your foundation goes on really smooth. It also does a really good job of mattifying my combination skin without over drying the already dry parts. 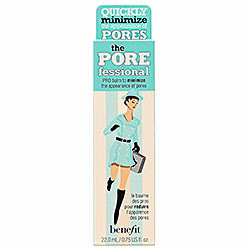 I have gone back and forth using other primers, but I continually go back to Benefit’s the POREfessional because it really is that great! Another upside is that it doesn’t mess with my sensitive, acne prone skin. The only downside is the price, which can be quite steep given that it is a rather small tube of product, but I think it’s worth it. 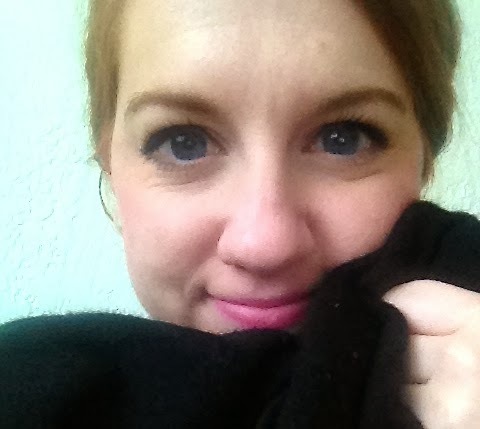 Another must have favorite for the cold Winter season is a mountain of warm sweaters! Everyone has their own personal favorites and mine is a black cashmere sweater that I’ve owned for forever. I throw on this sweater almost everyday over whatever outfit I’m wearing so I can stay cuddly and warm when it’s cold outside. 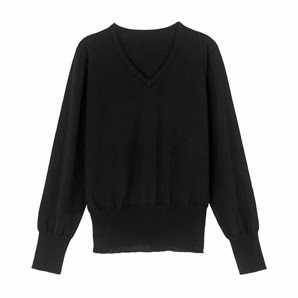 The only downside of cashmere sweaters is the difficulty in washing. They are all usually dry clean only, but I’ve found that I can handwash and hang dry mine and it works just the same! Stay warm this holiday season and make sure to have lots of comfy sweaters! 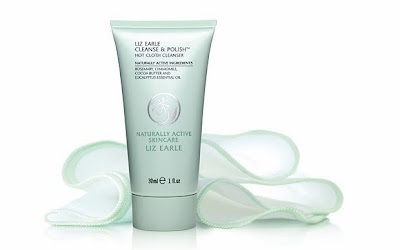 My last, but certainly not least December favorite is the Liz Earle Cleanse & Polish hot cloth cleanser and muslin cloths. I got a sample of this in one of my previous Birchboxes and I now know what ALL the hype was about this product. It is a cream cleanser that you can rub all over your dry, made up face. After you rub in the cleanser, you scrub it all off with a muslin cloth that has been rinsed under hot water. I had no plans to use this product as I was happy with the cleanser I was using, but as most products do, my cleanser ran out and I had no backups to grab. I decided that maybe all the great reviews I had read about this product gave it enough credence to finally give it a try. I am a very clumsy face washer who can never seem to not get water everywhere when washing so the fact that I never have to splash water on my face is amazing! I slightly deviate from the suggested use as I take off all my makeup with a face wipe before I use the cleanser and muslin cloth and it seems to work great for me. 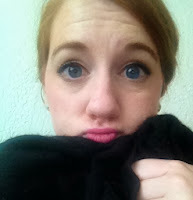 I like the daily exfoliation as it rubs away all leftover traces of makeup and makes my face feel soft and super clean. 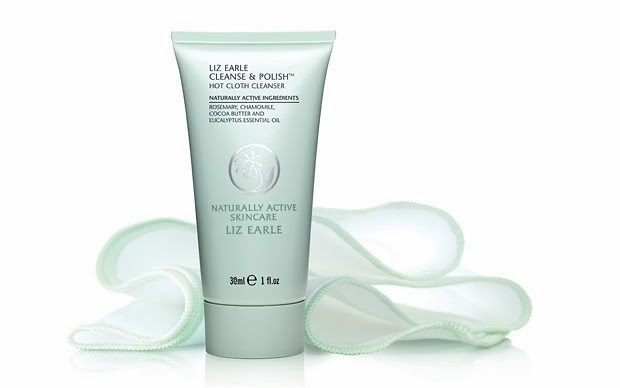 If you’re looking for a new HG cleanser, I would totally suggest getting the travel Liz Earle Cleanse & Polish Hot Cloth Cleanser and testing it out for yourself! Let me know what your December favorites are in the comments below!